A 2017 Bank Street Best Children's Book of the Year. Things aren't always what they seem in this charming tale of imagination, sharing and friendship. 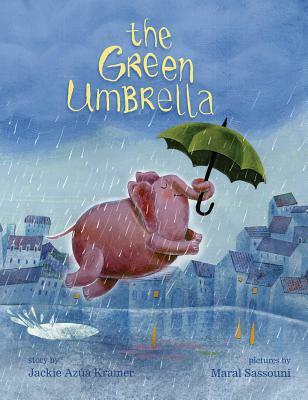 When Elephant takes a peaceful walk with his green umbrella, he's interrupted by Hedgehog, Cat, Bear, and Rabbit--all claiming that they've had exciting adventures with his umbrella. After all, it is an umbrella, and it certainly hasn't been on any adventures more exciting than a walk in the rain. Or has it? Jackie Az a Kramer and illustrator Maral Sassouni both make their debut in this fun read-aloud.